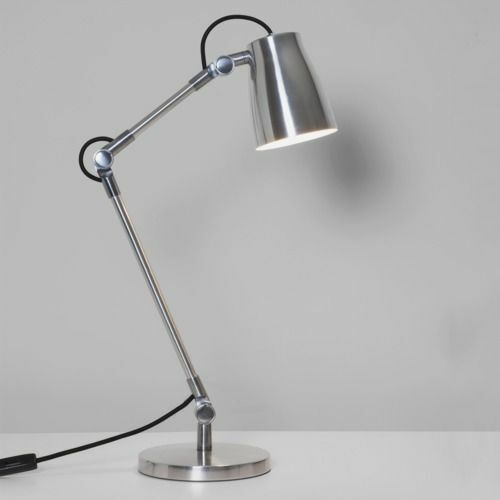 The Atelier 4562 Polished Aluminium Table Lamp is suitable for indoors. It has a height of 27mm, a width of N/A, a depth of N/A, & a diameter of 190mm. As a non-lit product, it doesn't require any bulbs. This product doesn't have any lumen output (brightness) information. The Atelier 4562 Is not a dimmable product therefore no dimmer switch information is required. As a non-lit product, there is no need for a switch on the unit & an IP-rating of IP20, which means it can be installed in bathroom. The 4562 is a product that doesn't require a class rating.. It is not a fire-rated product & no LED driver is required. Height = 27mm, Width = N/A, Depth = N/A, Diameter = 190mm.